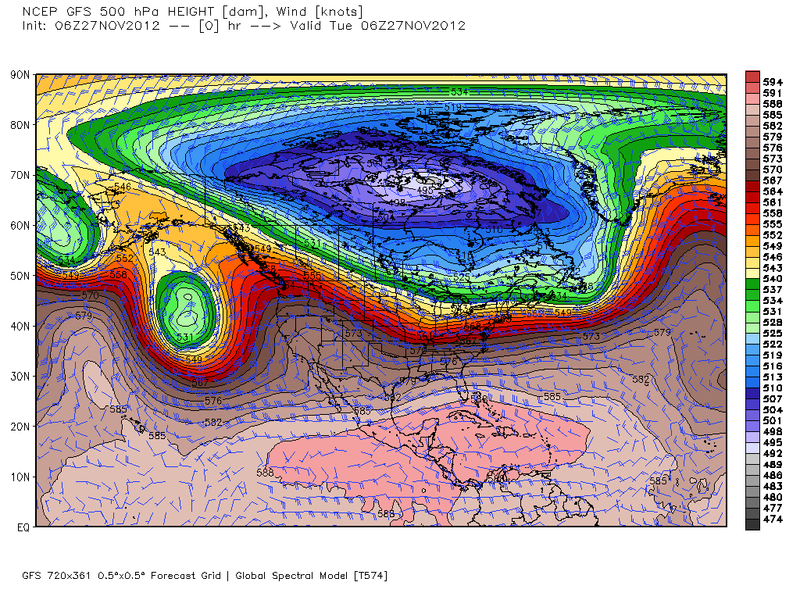 06Z/11 PM MST GFS 500 MB Analysis. 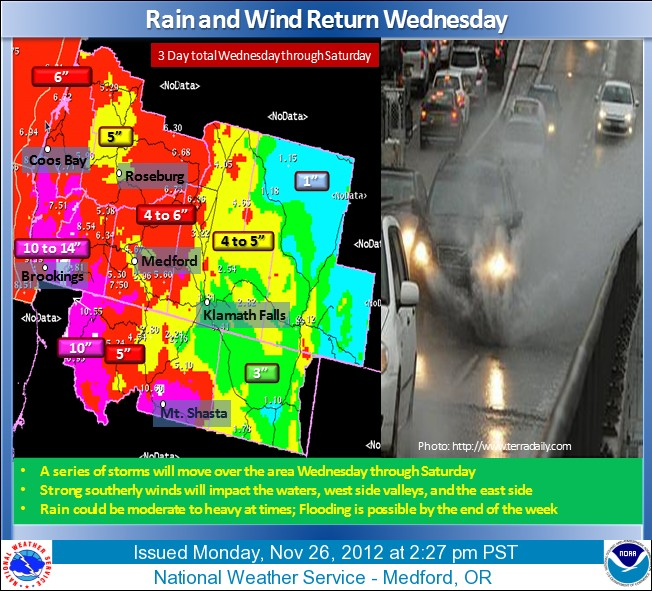 Map Is Courtesy Of The Medford, OR NWS Office. 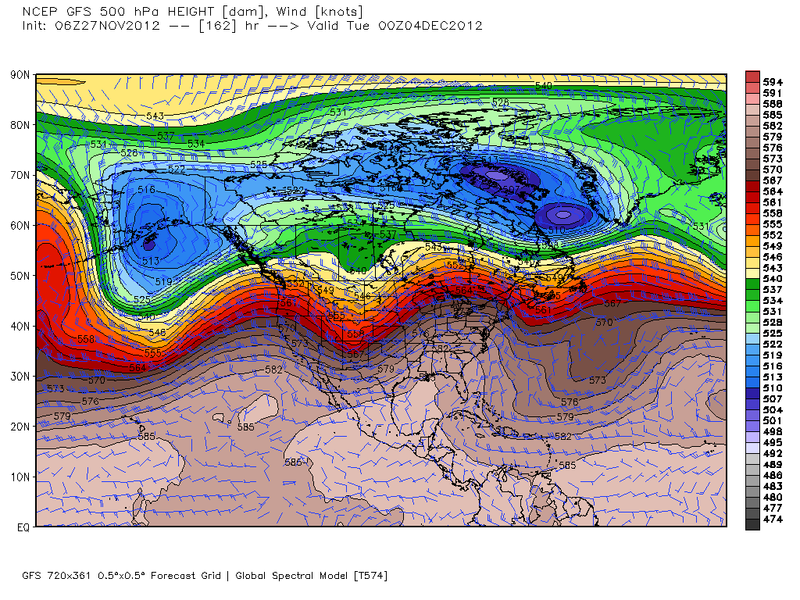 A complex and potent upper-level storm located off the Pacific Northwest Coast (see the GFS 500 MB map above) will send a series of powerful storm into that region this week. 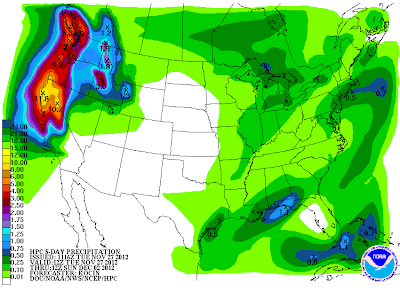 Five day rainfall totals at the lower elevations of the Pacific Northwest are forecast to range from 10" - 15" in some spots. 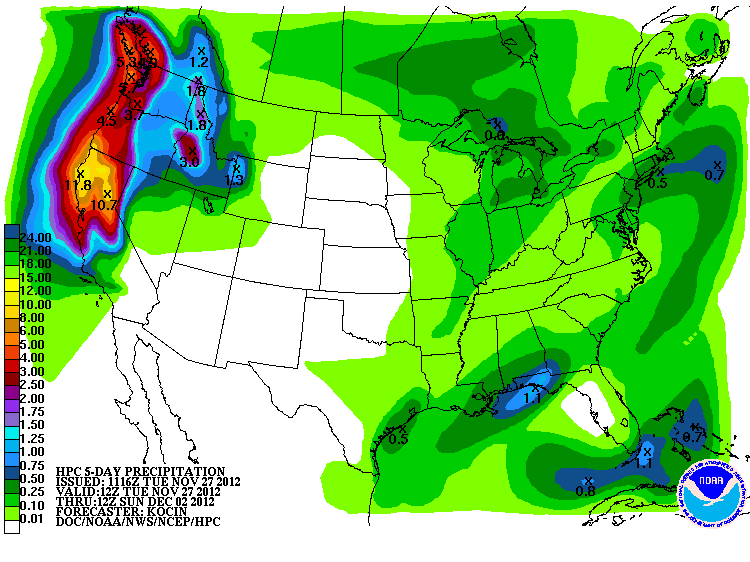 What these folks will get over the next five days (rainfall totals) is about what we get here in southeastern New Mexico all year long. That's impressive stuff! 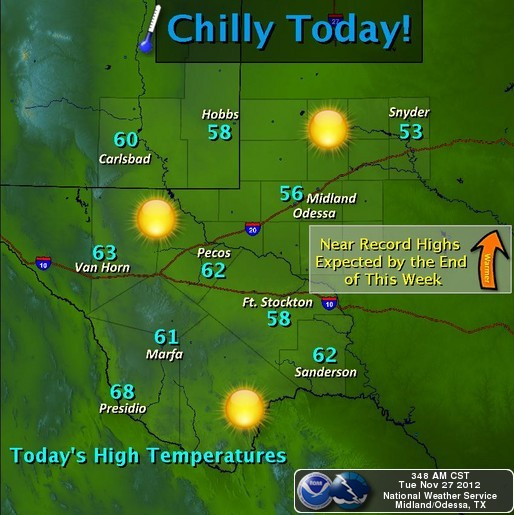 A weak dry cold front moved into southeastern New Mexico and west Texas yesterday afternoon. Cooler temperatures have overspread the area behind the front. Forecast high temps today for most of the lower elevations of southeastern New Mexico are expected to be in the upper 50's to low 60's. 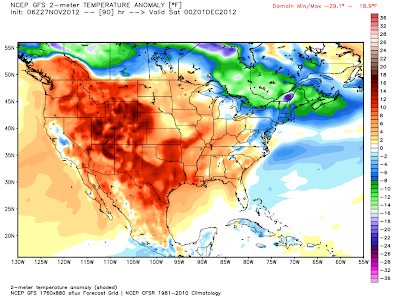 GFS Temp Anomaly Forecast At 5 PM MST Today. Our afternoon high temperatures will be close to seasonal averages today. 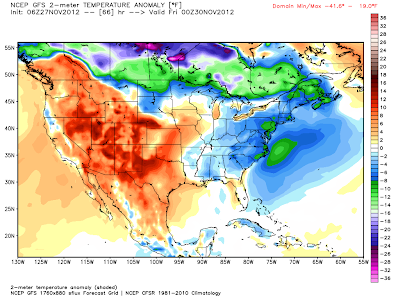 Above Normal Temperatures Wednesday - Next Monday. 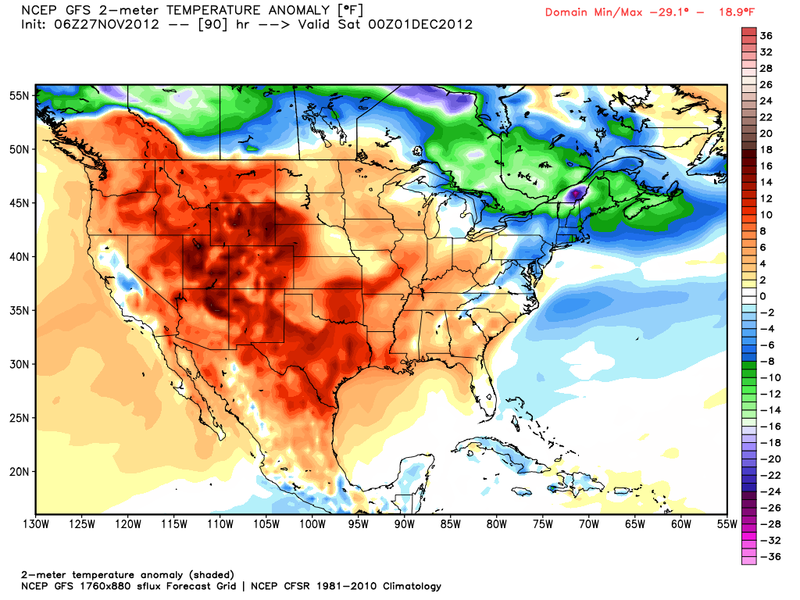 GFS Temp Anomaly Forecast At 5 PM MST Wednesday. 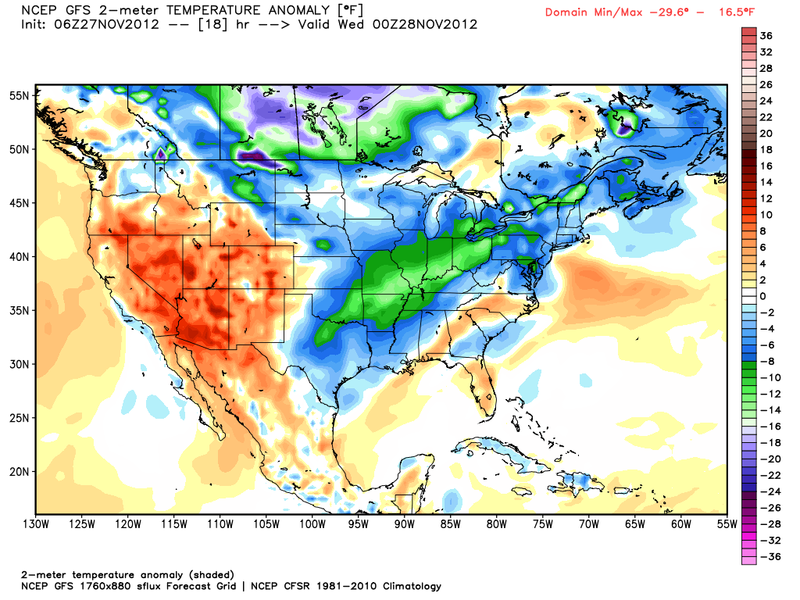 GFS Temp Anomaly Forecast At 5 PM MST Thursday. 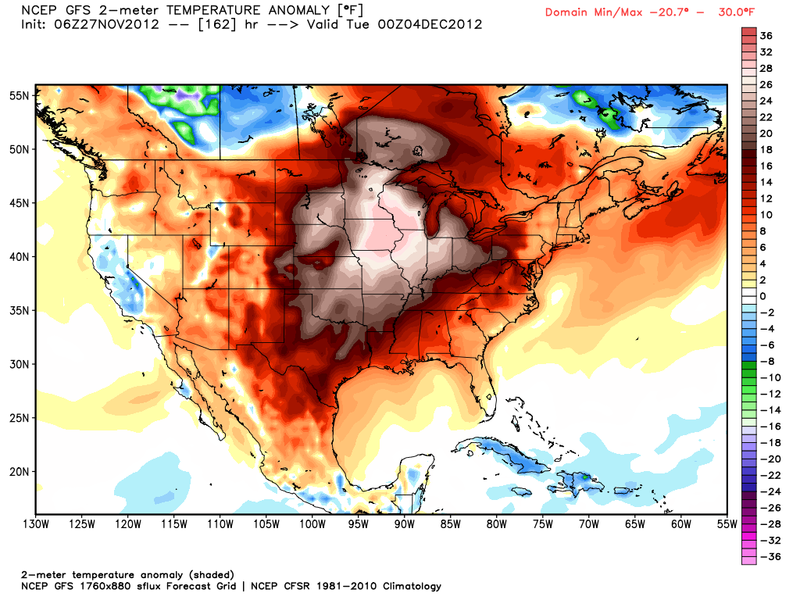 GFS Temp Anomaly Forecast At 5 PM MST Friday. GFS Temp Anomaly Forecast At 5 PM MST Saturday. 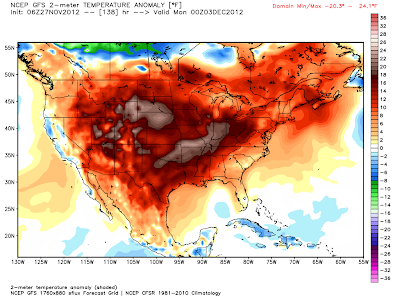 GFS Temp Anomaly Forecast At 5 PM MST Sunday. GFS Temp Anomaly Forecast At 5 PM MST Next Monday. If you are looking for more seasonal-like temperatures and some of that white stuff falling from our skies...sorry, its not happening, at least in the next week to ten days here locally. 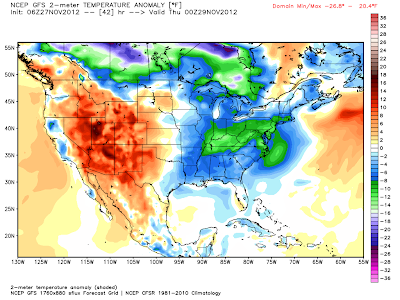 Our afternoon temperatures are forecast to remain above normal into early next week. 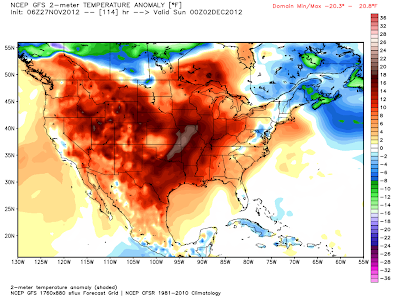 Most of us will see highs in the low 70's tomorrow, and the low to upper 70's into next Monday. I suspect that a few spots are going to flirt with 80-degree temps during this period also. The ECMWF forecast model is trending even warmer than the GFS model. 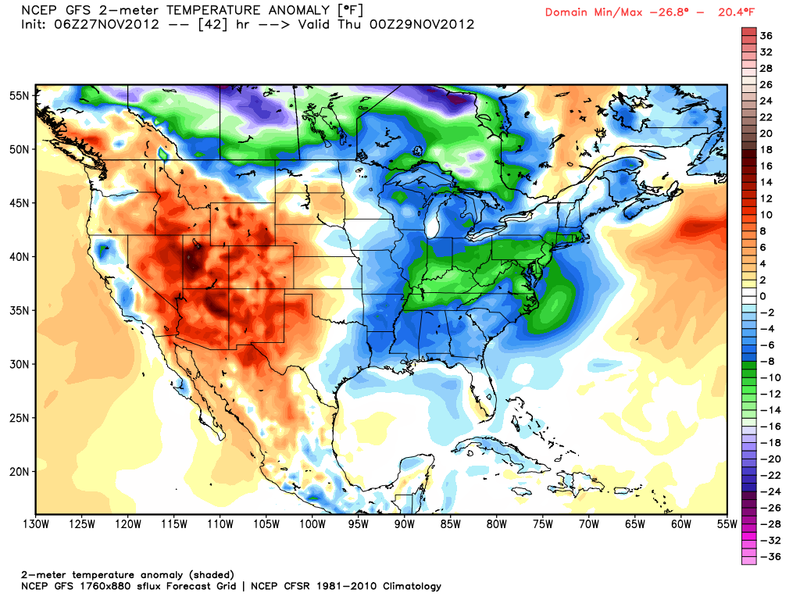 Bad news for New Mexico's Ski Resorts. Warm & Windy Early Next Week? 06Z/11 PM MST GFS 500 MB Forecast. 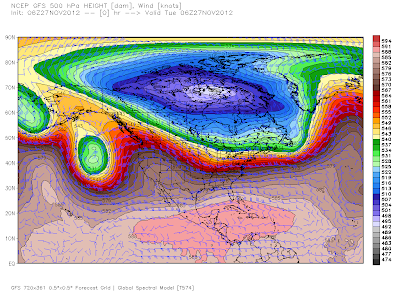 Valid At 5 PM MST Monday Dec 3, 2012. 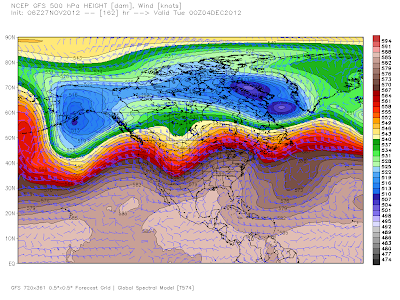 Really about the only thing significant to disrupt our local stretch of weather tranquility will be the passage of a mid-level trough of low pressure over northern New Mexico early next week. 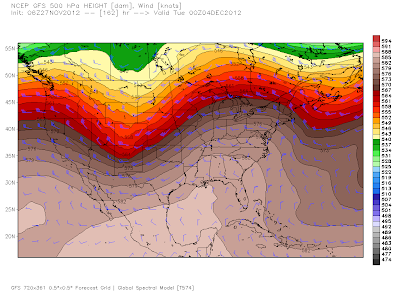 This will likely cause an increase in our westerly winds and some minor cooling behind the system.